The modern workplace demands an inevitable need of mobility. Today’s business trends are quiet faster and there is always a need of quick response – Mobile devices help to enhance the productivity and efficiency of any business making the users omnipresent. However, with pros on one side, there are always some disadvantages to it – with company data being accessible from anywhere through a mobile, the risk factor is always high as there are greater chances of the important data being exposed. If your customers are not secured, there are higher chances of vulnerabilities entering their systems to impose an attack or a multitude of attacks. Mobile Device Management would save your customers’ endpoints from any security breaches. Confronting an endpoint security hazard doesn’t involve if – it’s a matter of when. Around 81% of respondents guarantee that employees are careless and they stand hazardous to endpoint security. This demonstrates in spite of the fact that you have security arrangements set up, there’s no confirmation that your employees will abide them. Sadly, individuals can be indiscreet – even in the work environment – that is the reason you require us to implement a solution to secure your endpoints. By any chance when the company’s employee opens an email on their cell phone containing a spreadsheet with sensitive data about the company’s budget, and later taken away by a phishing mail and clicks on a suspicious mail which takes away all the important information from the company goes into the hands of the hacker. With a MDM solution in place, you’ll have the capacity to screen each of the endpoints that enter your working environment and take control of all the access points – limiting the danger of security threats and breaches. The space between the personal and company’s information is currently unknown because of the expanding measure of cell phones that have completely entered the work environment. The more devices you have getting to your information, there is more way for the entry of potential dangers. In spite of the fact that patterns like BYOD take into account expanded availability and efficiency, there are sure related dangers that should be alleviated. Suppose the greater part of your representatives utilize their very own gadgets to get to organization information. What might happen in the event that one of them lost their device outside of the workplace? All the data can be easily be accessed by the hackers. With a Mobile Device Management in place, you can totally wipe that device clean and take out the danger of an security breach. MDM enables you to separate work and play, and guarantees that every one of your endpoints are ensured against security dangers. Malware is getting to be noticeably more brilliant and more hard to identify, which implies that you’re considerably more vulnerability against security threats. Today, hackers are focusing on high-volume websites to get the greatest measure of effect. You may have even observed this with versatile applications, for example, Pokémon GO. 56 percent of respondents concur that endpoint security dangers are getting to be noticeably stealthier, which implies that there’s a more prominent need to keep endpoints protected. With a MDM solution, you can secure access paths that might be left helpless against digital attacks, while likewise directing all inclusive information access across endpoints. Giving unmanaged and unreliable mobiles a chance to be a part of the work environment can make these endpoints vulnerability to security dangers, for example, malware or a potential security breaches. For whatever length of time that there’s a want for cell phones in the working environment, there’s a requirement for MDM too. Your employees may not know that they’re carrying risky mobiles into the working environment, however with MDM, you’ll never need to stress over their own devices trading off your organisation information. When offering the value of your MDM arrangement, stretch that it gives your customers significant serenity. They won’t need to second-figure their portable security or stress over any of the different digital dangers that are developing in advancement and notoriety. Rather, they can appreciate the numerous advantages that BYOD and expanded versatility bring to the table, all while you keep a careful gaze over their portable surroundings to guarantee they remain ensured. 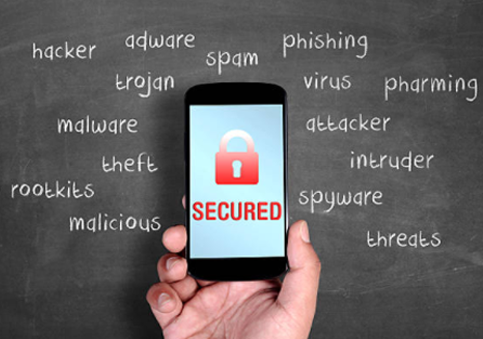 Features of an Efficient Mobile Device Management to ensure effective endpoint security. Mobile Antivirus Solution – secures mobile devices from viruses and any other malware and malicious apps. Regulate Mobile Policies – Enforce strict rules and regulations on data encryption policies to ensure only authorised apps are installed. Data Isolation – helps to isolate data between managed and unmanaged applications. Containerisation of Applications – Endpoint applications are opted to run in virtual environment. Less Impact on the Process Flow – Offers protection against zero day threats without any impact on the process flow. Total Endpoint Protection – Delivers protection with multiple security levels accommodating – threat containerisation, URL filtering, firewall, file reputation and behaviour analysis. Automated Threat Containment – Instantly contains unknown or suspicious files in an isolated virtual environment to restrict the interference of those unknown files on the current user data and the normal operations of the system. New Comodo Report Redefines Endpoint Pro..
Antimalware protection and the fundament..
What Is Endpoint Security? and Why Is It Crucial Today? How Secure is your network against Internet-based Attacks? Take the instant Network Security Assessment to get your security score!